Ever wanted to pilot your own robot in VR? Sure you have! 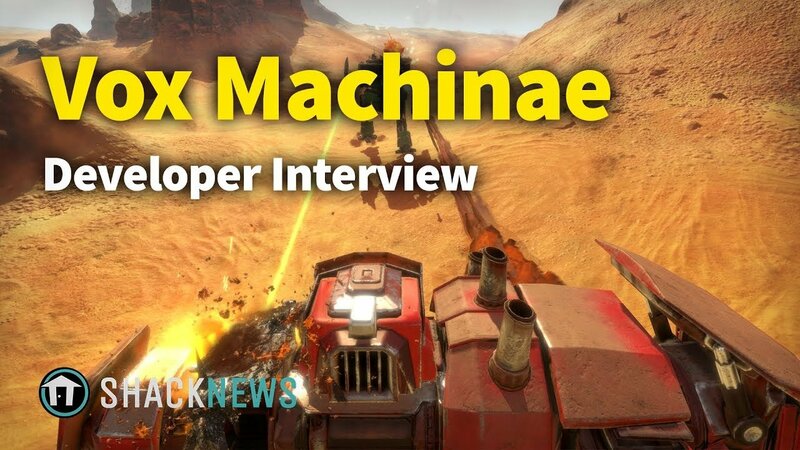 Vox Machinae invites players to hop into the cockpit of a massive robot, then head into battle with a swath of other combatants in VR. In short, it's like jumping into your favorite mech series and decimating other, real players. Shacknews sat down with programmer Josh Enes and artist Jakub Czeszejko-Sochacki to chat about the action-packed game during Oculus Connect 5. Space Bullet Dynamics Corporation has made available via Steam's Early Access program now, so you can try it out for yourself. Otherwise, be sure to check out our preview of the game, with a hands-on experience from our own Blake Morse that you won't want to miss. "The biggest difference from back then is now we are a multiplayer-focused title, and we're going much broader with multiplayer and 16 players, making it a very competitive experience," said Jakub of some of the differences between starting out with the game and now. "The level of chaos that can happen onscreen was very difficult to accommodate, and making it perform at the recommended specs was a big focus for us to make sure that everybody would have a good experience, regardless of their hardware." Check out the video above for the full interview! For more gaming and games industry videos, including convention coverage and in-depth developer interviews, be sure to follow both Shacknews and GamerHub.tv over on YouTube.